What's he wearing? : "where will life take you?" 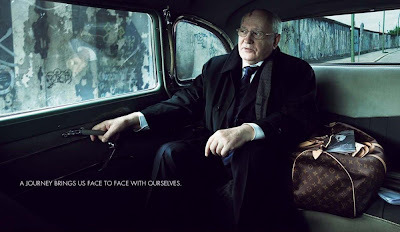 today i am liking the annie leibovitz for louis vuitton campaign images. these are different to the seasonal glossy ads hawking the latest richard prince must have bags, but more to emphasis on the heritage and core business of the house of vuitton: luggages and travel. i am really a sucker for these advertising gimmicks, but these images and campaign sought to seek the core values in life, where your journey leads you. 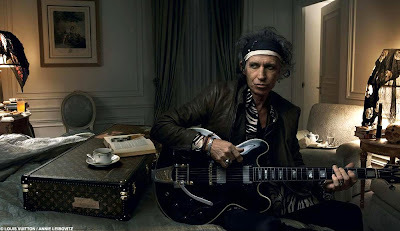 and it seems so appropriate and befitting, that with the vuitton luggage you can go explore anywhere in life. people are quick to lambast that vuitton are a sellout, monogram madness and overpriced store, but their luggages are all hand made with beautiful details. each and every piece of vintage vuitton luggage tells a story, a journey. these are the proper heirloom pieces. forget the coin purse, the wallet or the key chains. travelling with vuitton luggages to me is the ultimate luxury. i stand by my principles, that only 2 things are worth buying from the house of vuitton. first is the luggages, second? it's shares of course. the rate their business expands and the rate china is absorbing all these monogram madness and the rate their profits increase despite US and europe credit crunch, their shares are worth buying. for my 30th birthday in september, i am seriously considering the vuitton bisten 55. i shall go check out the trunks in person, and see what customisation options i have. i really like the one in keith richard's ad, the coated canvas seemed darker than usual, and the leather trims are black rather than the usual brown. why did i not win the 45million euros lottery last friday?